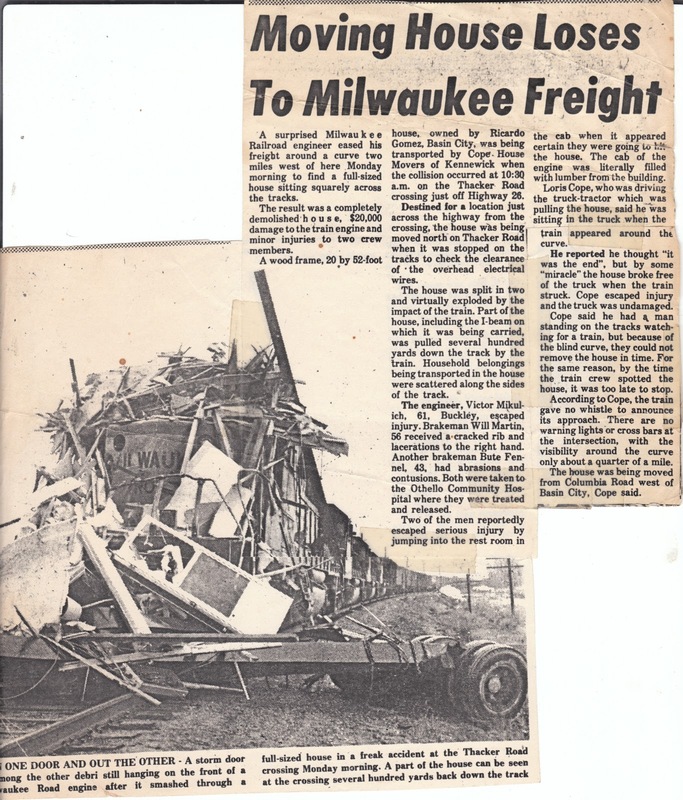 The Milwaukee had a similar situation on February 22, 1977. 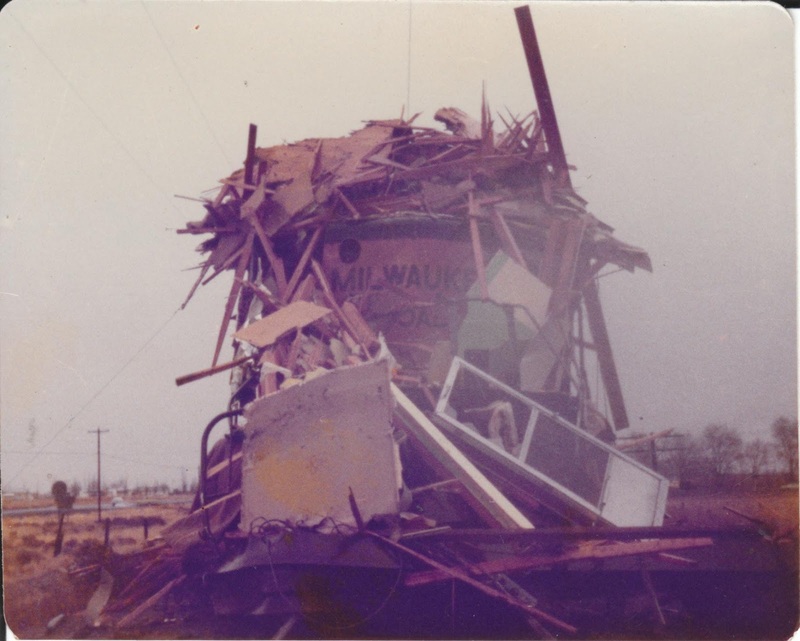 A Milwaukee Road freight train plowed through a 20'x 52' wood frame house at the Thacker Road crossing near Othello. The mover had stopped the house on the railroad tracks at the crossing to check clearance on some overhead wires. 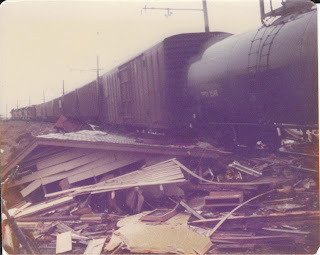 They had a man on the tracks watching for trains but when it showed around the curve it was too late to get the house off of the crossing in time. Vic Mikulich, of Enumclaw, was the engineer and Butte Fennell was the head brakeman. 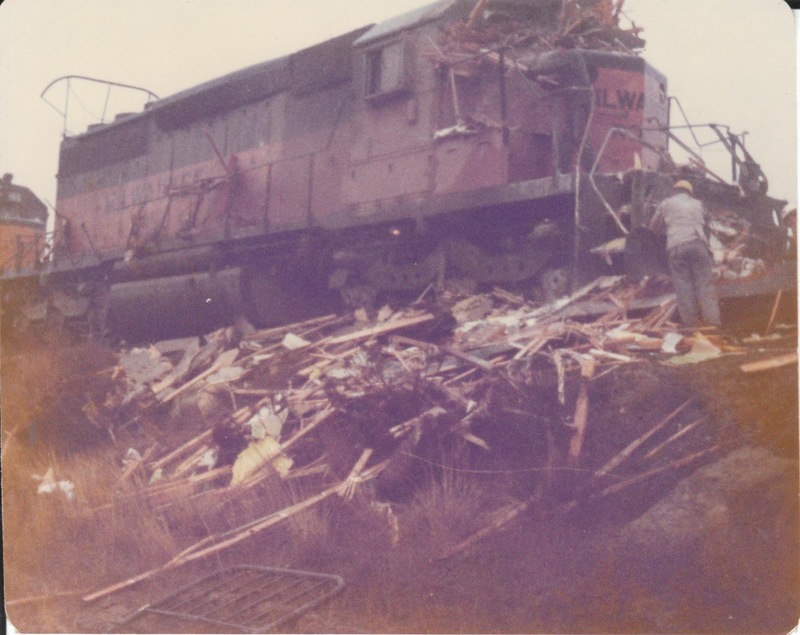 Vic was uninjured but Butte and another brakeman received some minor injuries. The tractor broke away from the load and none of the moving crew were injured. 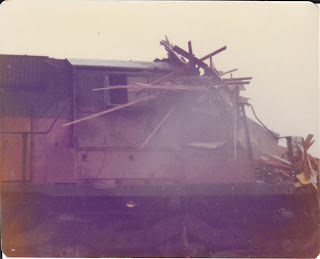 The house was a total loss and $20,000 damage to the locomotive. I believe the lead engine was SD40-2 No. 16 and the cab was literally filled with lumber from the collision. The ironic thing was that the house's destination was just across Highway 26 from the crossing where it was hit. Probably less than 200 feet away.